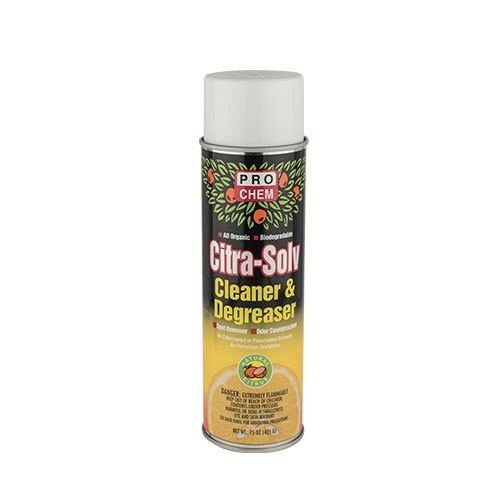 CITRA-SOLV AEROSOL | Pro Chem, Inc.
CITRA-SOLV AEROSOL is a remarkable natural solvent degreaser that represents an exclusive new approach in one-step degreasing and deodorizing. This non-acid, noncorrosive cleaner provides a multitude of added values such as odor control and the removal of tar and asphalt from most hard surfaces. 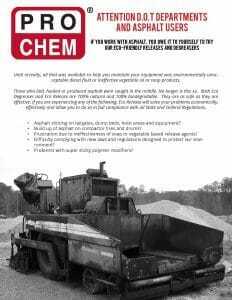 CITRA-SOLV’s multipurpose formula effectively strips grease and heavy oil deposits from practically any surface. Remove protective cap and direct spray toward surface to be cleaned. Always hold container upright. Apply liberally to surface to be cleaned, and allow to stand for 30 seconds then wipe with a cloth or sponge. When cleaning fabrics, always test in an inconspicuous area for colorfastness.